We’re proud to announce that we are certified by Travel Green Wisconsin! We could upgrade our entire system to Geothermal, using the existing furnace only as a backup and eliminating the air conditioner. Although installing Geothermal required a considerably larger up-front investment than a more 'conventional' HVAC system, we felt this was the way we wanted to go - to find a long-term solution that would limit our dependence on fossil fuels. Our Geothermal system utilizes a 'loop field', coils of tubing buried under the yard in two, 200 feet long runs. These 'loops' are connected and are filled with liquid that circulates from the house, out through the 'field' and back again. The system takes advantage of the relatively constant temperature underground to either provide heat in winter or cooling in summer. 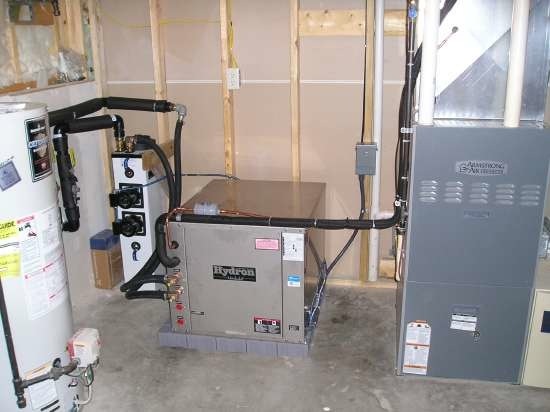 Geothermal requires no burning of fossil fuels at our location, as the only energy required to operate it, is the electricity that runs the circulating pump and the blower fan. Geothermal can also produce excess heat as a biproduct, particularly in the summer when it is removing heat from the house. We added an extra water storage tank before our high efficiency gas water heater to take advantage of the system's ability to pre-heat the water in storage before it enters the water heater. This means the hot water we use at sinks, for showers and baths, etc. requires a lower rise in temperature to reach the desired output, again saving propane. 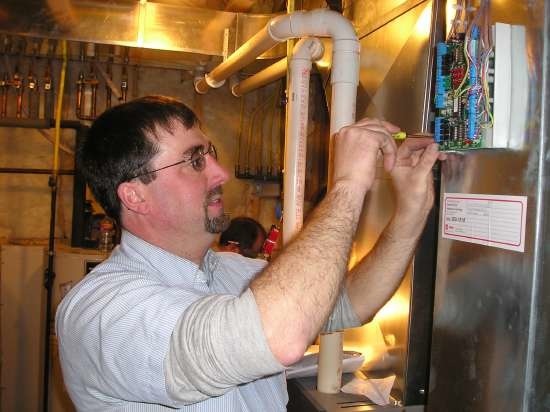 Curt from Service Plus makes final adjustments in the HVAC control center that regulates three zones on the system, including the new 'apartment zone’. The 'recycling center' in the apartment for those who would like to use it. The Township of Sparta, where we live, operates a recycling center near us. Our family takes advantage of the opportunity the Township presents, by recycling just about everything we can. That includes most plastic, glass, cardboard and paper, and metals. Our organic food scraps go on our 'compost pile' and eventually wind up back in the earth helping to supplement nature's nutrients for our garden. We utilize a burning barrel to dispose of the few combustible materials that are not recyclable, so the actual non-recyclable 'garbage' we contribute to the area landfill is as minimal as we can make it. 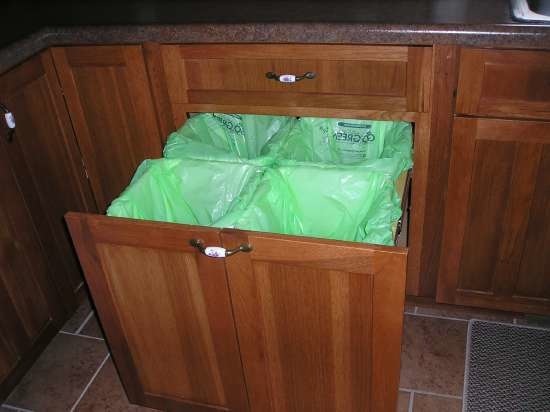 For our guests who would like to help us 'grow green', we've provided separate bins for sorting out recyclables. This is a voluntary program for guests, so use the bins if you wish, but there is no obligation. 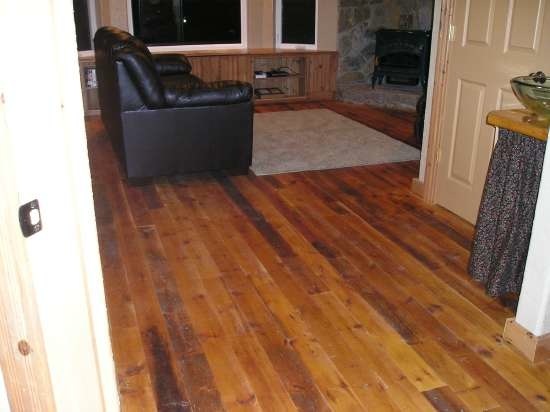 You'll see a great deal of reclaimed lumber in the Eagle View Apartment. We salvaged 100 year old wood from a damaged granary on the farm below us, then cleaned and reworked the wood to make wide plank wood flooring, base boards and trim around doors, wainscot and wood celings, shelving, benches, towel bars, and vanity and table tops. The antique wood, complete with nail holes and age-related blemishes, creates a unique, warm and attractive environment for you to relax in. We don't mind using new wood when we need to, as managed forests are sustainable, but we've always felt a special appeal for 'up-cycling' old wood to make new and useful products. That's something you can't buy at the local home center! In 2013, Lu and I started “Used Anew”. We offer deconstruction services, an alternative to demolition of unwanted buildings. We sell some of the reclaimed lumber and other materials we reclaim from barns, houses, sheds, garages, etc. and repurpose much of the rest ourselves. You’ll notice some shelves, wall art, etc. in the apartment and hallway that have been made with repurposed materials from our deconstruction efforts. One of our fastest growing products is our milled wood flooring and wall and ceiling treatment. 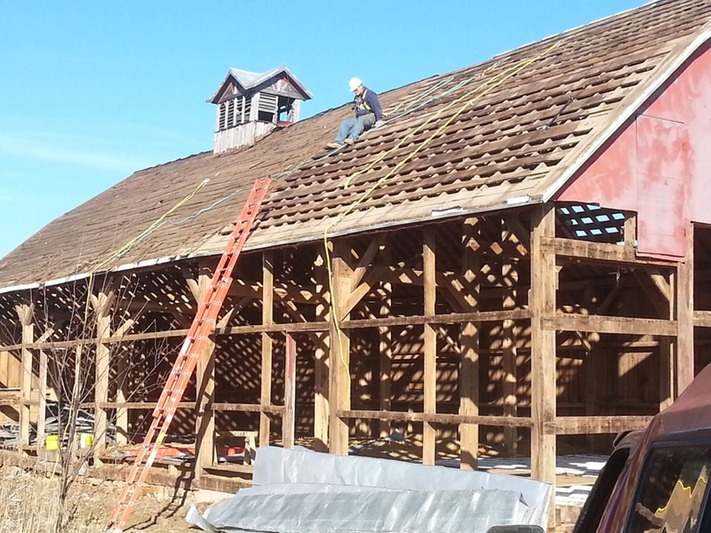 We have this produced by nearby Amish craftsmen and sell to homeowners, remodelers and builders, etc. Planning a remodel of your own? We’ll be happy to give you a tour of the materials yard and show you some samples of our milled products. Like antiques and collectibles? We have a store in the lower level of our home for you to check out! 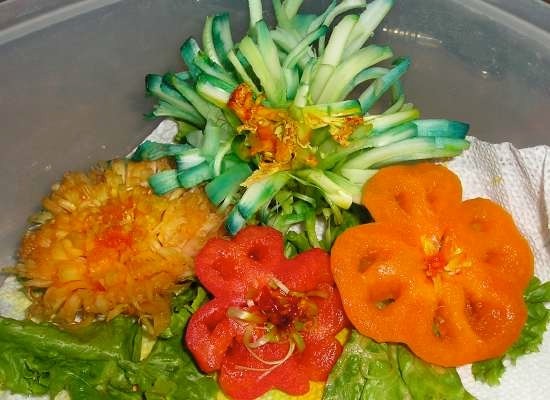 LuAnn gets a little creative sometimes with the fresh vegetables she raises in our garden or that we pick up from one of the area produce markets. We're fortunate to have area grocery stores that carry fruits and vegetables from around the world, but there is nothing that compares to the flavor, texture and just plain satisfaction that comes from enjoying locally owned fruits and vegetables. A few years ago, a friend clued us in on how to produce homemade maple syrup. On occasion, we tap a few maple trees on our property and produce some amazing maple syrup. 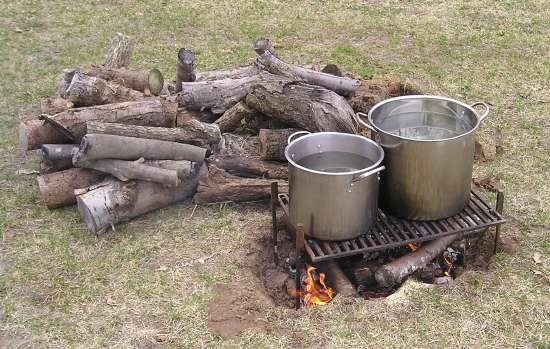 The process of making maple syrup is surprisingly simple, just very time-consuming. Sap collected from the trees is approximately 95 percent water. When that water is boiled off, the remaining 5 percent is incredibly delicious, natural maple syrup! There are no additives and no preservatives. The syrup is filtered, bottled and sealed. Ten gallons of sap (approximately what we collect each day from six trees) yields two to three pints of golden bliss. It's amazing, once you have this wonderful product, how many delightful uses can be found for it. We use it on pancakes and waffles, of course, but also as an ice cream topping, a replacement for sugar in homemade bread and other baked products, to make glazed carrots, and much more. Wild Raspberries, Blackcaps and Blackberries grow in the woods behind us. Although they sometimes play 'hard to get', their amazing flavor is worth the effort of braving the wild woods to get them! 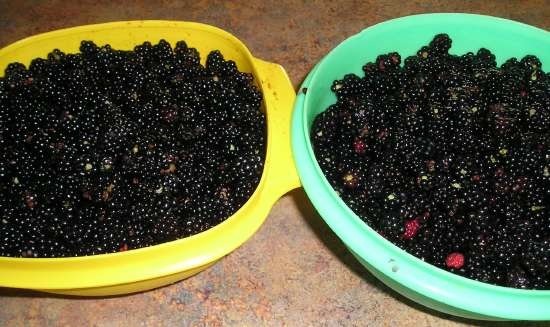 Guests who visit during berry season are welcome to pick as many as you’d like to top off a meal while you’re here or feel free to take some home. LuAnn and I keep a close watch on the development of new solar and wind technologies with an eye for producing our own electricity and sending any excess back to the grid. While the technology is improving and prices are coming down, these forms of alternative energy production still require an enormous investment. We're hoping that within a few years (or perhaps sooner) we will accomplish this goal.